Mumbai, April 13: As India commemorates the 100th anniversary of the massacre of hundreds of innocent Indians by British forces at the Jallianwala Bagh, members of the film industry, including Amitabh Bachchan, Sunny Deol, Bhumi Pednekar and Madhur Bhandarkar, paid tributes to the martyrs. A century ago, British forces led by Brigadier General Reginald Dyer opened fire on hundreds of unarmed, innocent Indians, including women and children, who were protesting peacefully against the oppressive Rowlatt Act of the British government on April 13, 1919 at Jallianwala Bagh in Amritsar. Jallianwala Bagh Massacre Centenary: 100 Years Ago, British Raj Committed Worst Bloodbath and Inflicted Most 'Shameful Scar' on its History. 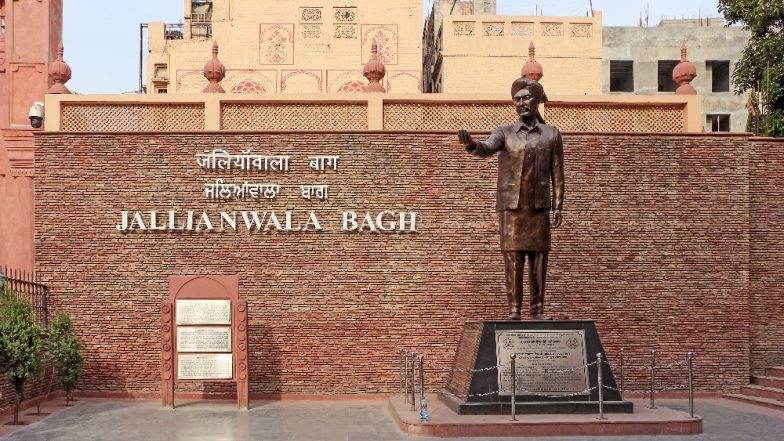 Remembering the horrific incident, Big B tweeted: "Jallianwala Bagh centenary. In remembrance of the merciless killings by the British and the resolve to rid India of British Colonial rule." "Tribute to martyrs," Sunny wrote along with a photograph of the Jallianwala Bagh. "Toilet: Ek Prem Katha" star Bhumi urged people to "always remember the courage and sacrifice of our freedom fighters" and to get inspired by their "valour and contribution into making our country stronger". According to Kirron, "Jallianwala Bagh centenary is a reminder that even the worst of massacres couldn't dampen the spirit of our countrymen." Bhandarkar posted: "Let us pay tribute to those who sacrificed their lives for independence movement in Amritsar." Actress Preity G Zinta shared: "My heartfelt tribute to the brave hearts and martyrs who lost their lives in the horrific Jallianwala Bagh massacre a century ago. I salute them and their families for their valour. Hope the people of this country remember what it took to get here and always stay united."